The bulk of the migrant caravan crossing Mexico began arriving Thursday at the U.S. border, as around 800 Central Americans reached the city of Tijuana aboard 22 buses after more than a month’s trek. “We’ve finally reached Tijuana. I can’t wait to see the border. It’s been a never-ending journey, but God brought us here,” said Carmen Soto, a Honduran migrant traveling with her two young children. More than 750 migrants who had traveled ahead of the main caravan had already arrived over the past several days in Tijuana, which sits across the border from San Diego, California. 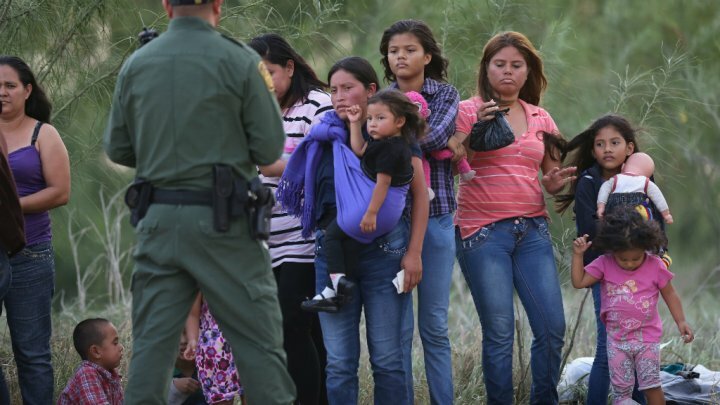 More than 3,000 others are on the way, expected to reach the border Thursday or Friday in buses organized by charities, private donors and local authorities. The caravan began its journey on October 13 in San Pedro Sula, Honduras — more than 4,300 kilometers (2,700 miles) from Tijuana. They then spent weeks walking and hitch-hiking through southern and central Mexico, but accelerated their pace dramatically in the north, thanks to buses provided by donors and in some cases local authorities who preferred to send them on their way rather than host them in shelters. The migrants are mostly fleeing poverty and violence in Central America’s “Northern Triangle” — El Salvador, Guatemala and Honduras, where brutal gang violence has fueled some of the highest murder rates in the world.